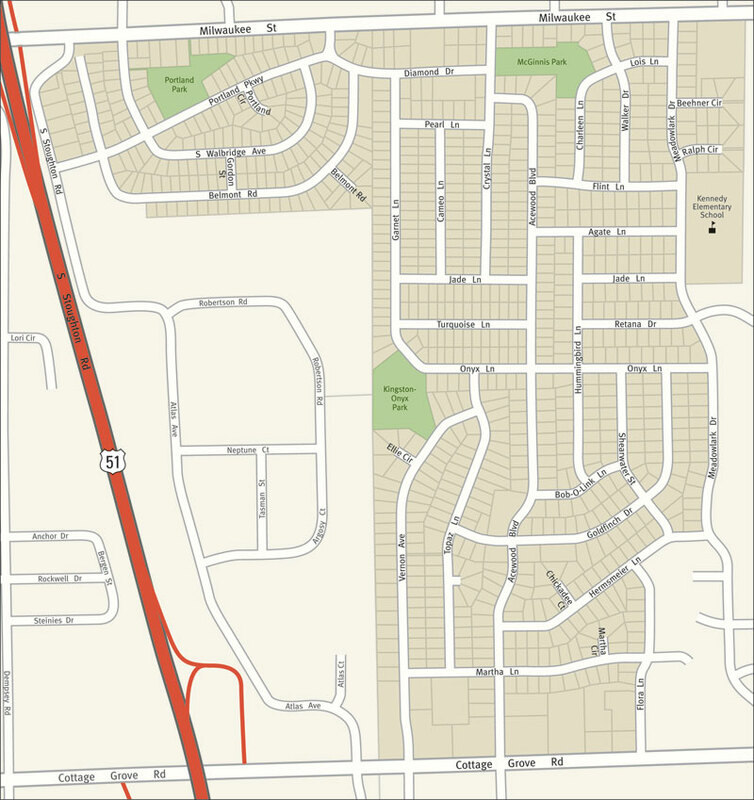 Rolling Meadows is a neighborhood on the east side of Madison, Wisconsin, with over 1,000 homes and nearly 2,400 residents. The Rolling Meadows Neighborhood Association is a city-recognized community organization. RMNA holds meetings featuring speakers from local and state government six times a year, conducts fundraisers, and supports projects that enhance quality of life for residents of Rolling Meadows and Madison's east side. Membership in the Rolling Meadows Neighborhood Association is open to residents living within the area bounded by Cottage Grove Road, Milwaukee Street, Meadowlark Avenue, and US Highway 51.